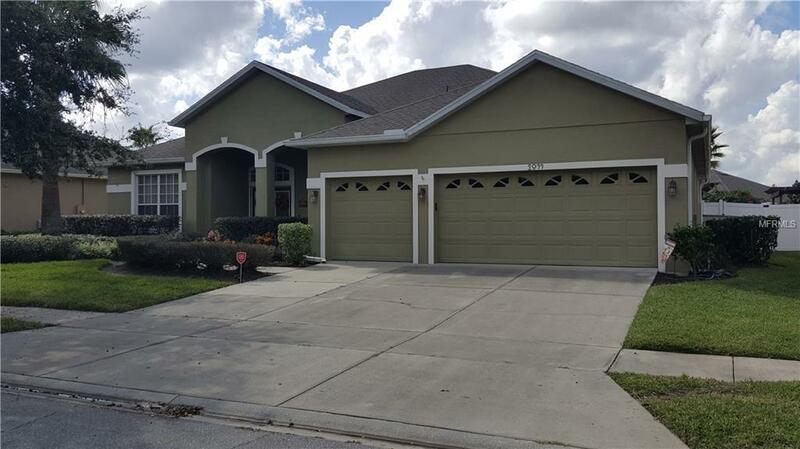 Great opportunity to move into this spotless home in gorgeous Cypress Lakes. The second you drive into community ideally located in East Orlando with easy access to roadways, shopping, parks and schools you will feel at home. Community features club house with fitness, pool, playground and tennis courts. Inside this well appointed home you are greeted by an open floor plan with separate living, dining and family areas. Kitchen is equipped with raised maple cabinets, stainless steel appliances and a new solar tube light to add brightness. The split bedroom floor plan includes a pool style bathroom, spacious secondary bedrooms and ample closet space. The master retreat is a dream with room for a sitting area or office and a large spa style bathroom. The backyard is an outdoor lovers paradise with a huge, screened extended patio with pavers perfect for relaxing or family BBQ's. New vinyl fence provides complete privacy. Other features includes relatively new state of the art water softener system, new water heater, newer HVAC, hurricane shutters and underground drainage system to name a few. Call today to schedule a private showing.